I have been working on this article for a while now I wanted to make another complete how-to guide about integrating Skype for Business with the new Exchange 2016 server where you will find a simple step by step on how to integrate both platforms in every way possible. This article will assume you already have a running Skype for Business & Exchange 2016 infrastructures and working without errors or problems, I will not go into how to install Exchange or Skype for business server, there is a lot of good articles and videos out there for that. 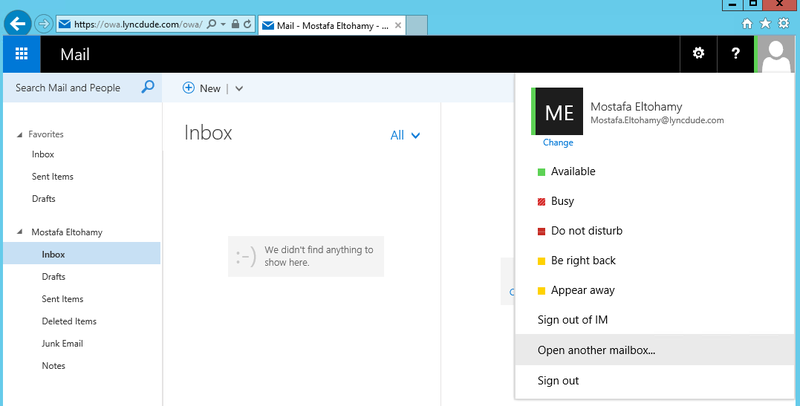 Mailbox: which include basically all known component found in Exchange 2013 & 2010 as in Client access services, Hub Transport services, Mailbox services and the Unified messaging services. Edge: is same role which is deployed in the DMZ network of your organization and handle the internet facing mail flow and act as additional protection layer for the emails. MAPI over HTTP is now the default Outlook protocol used to connect to Exchange 2016 server by utilizing industry standards HTTP model, good thing is if you did not enable MAPI over HTTP in your infrastructure, Outlook will fail back to RPC over HTTP to connect to Exchange. 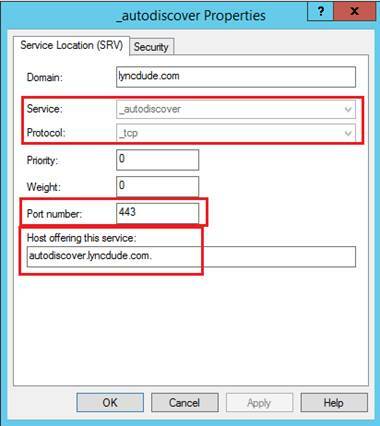 Make sure Exchange Autodiscover services are configured correctly. In order for the integration to work, Skype for Business server and Exchange server need to be able to communicate and exchange information between each other in a secure way, this is done of course by using SSL certificates and assign them to the required services. When installing Skype for business server you have to request a certificate for SkypeFB web services which can be also used for the OAuthTokenIssuer for server-to-server communication as long as you use this SSL certificate on all your Front end servers, so by doing so your Skype for Business side is also ready. 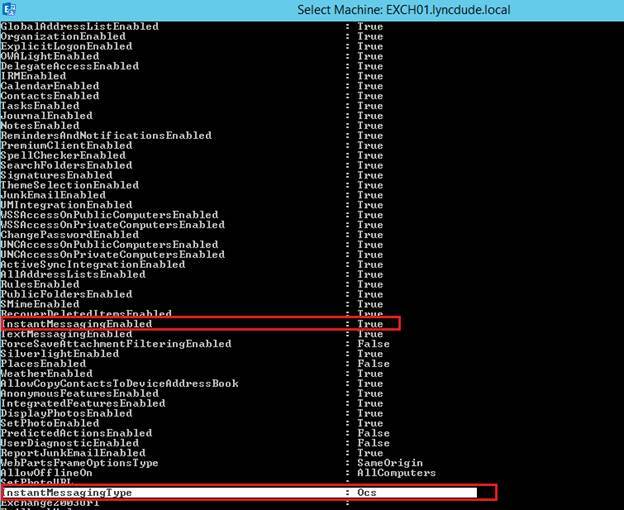 Next you need to make sure that OAuthTokenIssuer is configured so that Skype for Business frontend can find the Exchange Autodiscover services, use the following command to see if OAuthTokenIssuer have Exchange Autodiscover URI defined. Now that we have everything ready for the integration and we made sure that both platforms are ready, it is time that we start with the integration itself, this will be first by configuring each server to be a Partner Application to the other one. 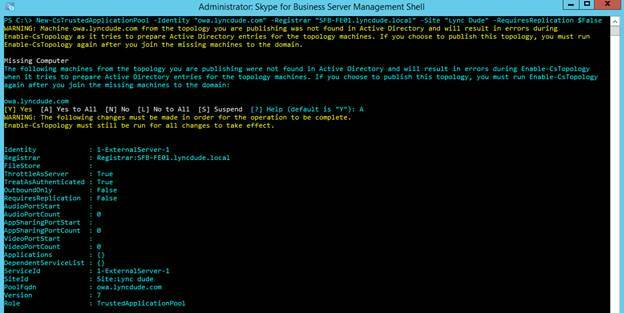 To allow server-to-server authentication between Skype for business and Exchange 2016 mailbox server you need to configure skype for business to be partner application for Exchange server and vice versa. Before we go in I want to send a special thanks to Benoit Hamet, his article helped with some parts of this section. one question do you know with Exchange 2016 if you already have UM enabled and configured do you still need to add a trusted application pool in SfB. 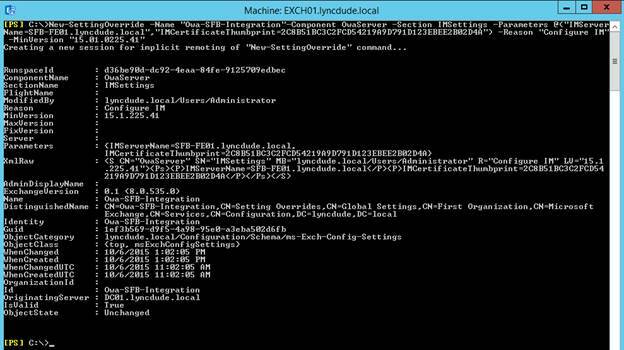 This was the case with Exchange 2013, if you configured a trusted application pool for OWA integration then deployed UM the OWA integration would break as its defined twice and you have to remove the trusted app pool. I can confirm you dont need to configure a trusted app if you have UM already integrated. So Ex2016 is essentially the same as Ex2013 and Ex2010 in that regard as Lync already trusts Exchange if UM integration is already configured.